Free email course: "Why do you pull out hair and how can you learn to stop this?" How is it possible that I keep pulling out my hair against my own will? 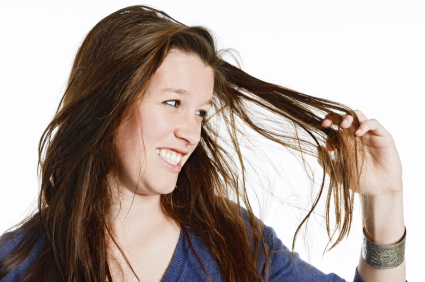 Is something wrong with me (or not) if I compulsively pull out my hair? Why is it that we can develop this kind of behavior as humans? Something really important to overcome Trichotillomania! Thank you so much for the information you put in that mini course, or better said, more than information, you put some words that have healing powers:) I’ve stopped pulling my hair since I’ve been reading them, but I know I’ve been on and off a few times in the past, so I don’t want to celebrate victory before the end of the war… Anyway, you succeeded in making me feel NORMAL and also gave me something very precious: HOPE. All the best to you and your family, and keep doing all the wonderful things you do for people with such problems! Thank you for sharing your practical email course with us. My daughter is feeling so much more positive now and I’m sure she will have the strength to overcome this behavior. Just completed the course, its really inspiring ..and am really thankful that I found this help after all these years! For 40 years Trichotillomania ruled and ruined my life. Something I don’t wish for anybody else! Luckily I can say that I am now completely free. Your life can become so much better once you overcome this. Thank you for all your positive messages. Very clear and well written course. It gives us important new insights for overcoming hair pulling. Thank you very much for sharing this without obligation. What a wonderful and well written course. I am just very glad I have red this and was able to take the necessary steps to get over this behavior. Had kind of lost hope before! Thank you for everything. "Why Do You Pull Out Hair And How Can You Learn To Stop This?" We respect your privacy and will never spam you or share your information with others. All our communication is focused on adding value and permission based. Allowing you to unsubscribe at any moment or simply remain subscribed for future updates about learning to stop with hair pulling. Copyright © Getting Better. All rights reserved.